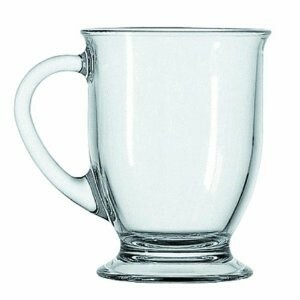 Large 16oz clear coffee mug, etched with your 2 lines custom text free. For logos please ask for addational etchings cost. Discounts given on volume orders.